Apartments and townhouses are available for UVic students with families. UVic's family housing complex consists of spacious townhouses and apartments located in attractive landscaped grounds next to the university Situated on the corner of Finnerty and Sinclair Roads, this residence area is convenient for students and their families, with close proximity to daycare and schools. Long-term housing is available for families with or without children. 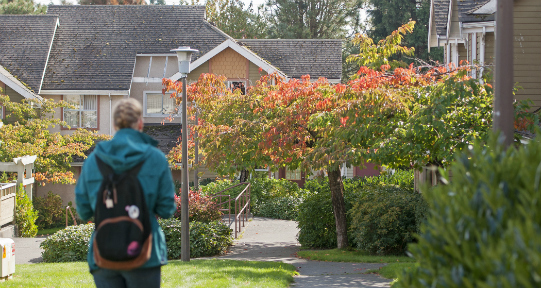 Units are rented to eligible UVic students on a yearly basis, up to a maximum stay of five years (or fifteen consecutive semesters) per family. View all UVic postings on the Careers website.